Hope you are having a Happy and Safe Holiday. family reunion the first weekend in June. GO HERE to see this wreath last Summer. I love the Blue and Pink color combination. Three little flags to add to my Summer holiday theme. 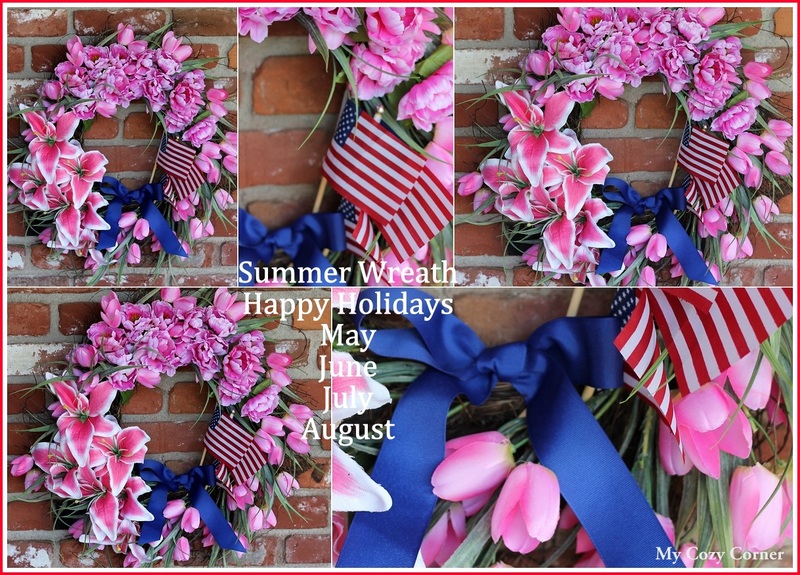 What a gorgeous wreath....love the added flag!